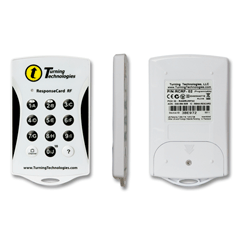 The ResponseCard RF clicker provides features and functionality that ensure responses from 10 to 1000’s are accurately, timely and effortlessly transmitted to the presenter. 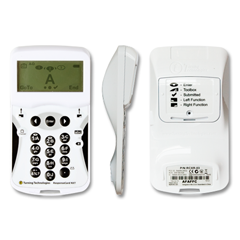 Optimized for small, medium and large presentation environments, the ResponseCard RF (Radio Frequency) keypad takes advantage of the latest in audience response technology advancements. 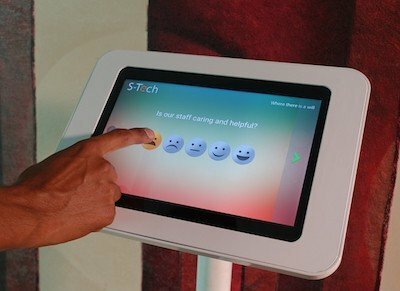 Our patented design immediately gathers real-time feedback from participants. 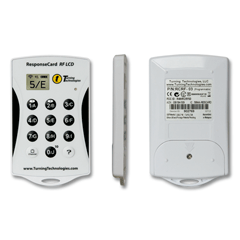 ResponseCard RF clickers are compact in size to allow for easy transportation from room to room or around the globe for optimum portability. The lightweight, rugged, durable ResponseCard has been rigorously tested in classroom environments. The result is optimized portability. 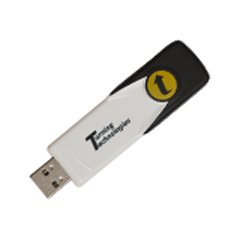 ResponseCard RF is compatible with TurningPoint assessment software.